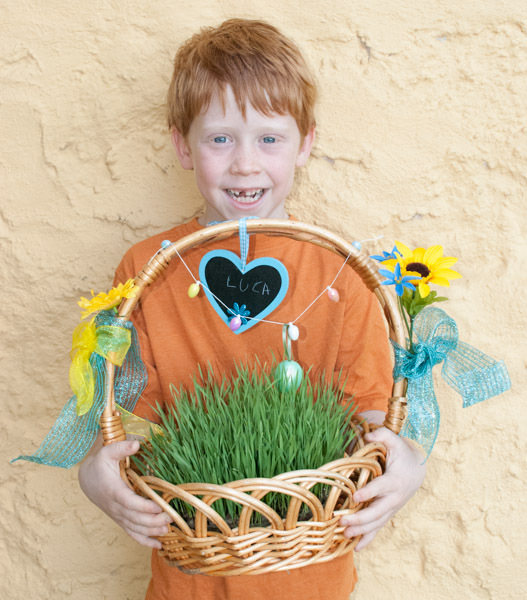 Try growing your own grass for the Easter baskets this year. It’s easy for kids to do, and won’t leave those strands of plastic grass all over your house on Easter morning. Does you child like to dig in the dirt? 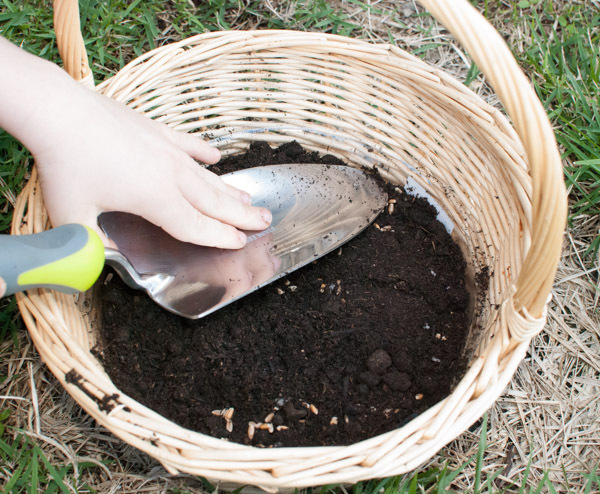 Let them play with some potting soil, then plant some grass seeds to make their own Easter basket grass. Start this project at least a week before Easter. Have your child fill the plastic tray half way with dirt. 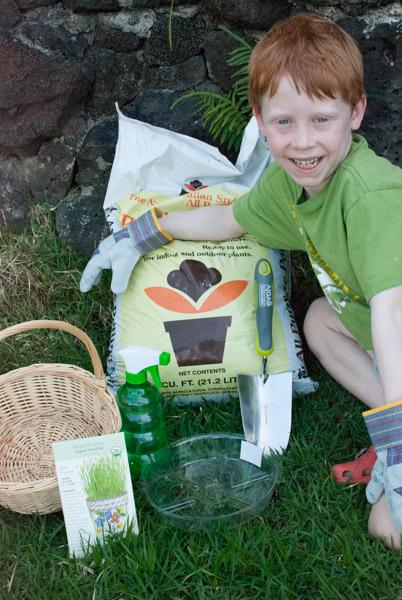 Show your child how to sprinkle the grass seed evenly all over the dirt. Point out that empty patches won’t have any grass. We used 1/2 packet of wheat grass seeds. 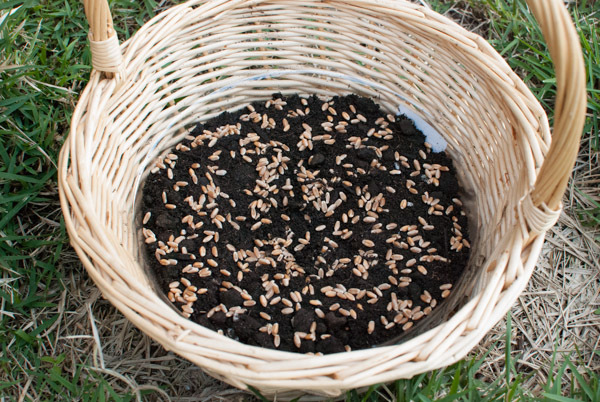 Cover the grass seeds with a thin covering of dirt. 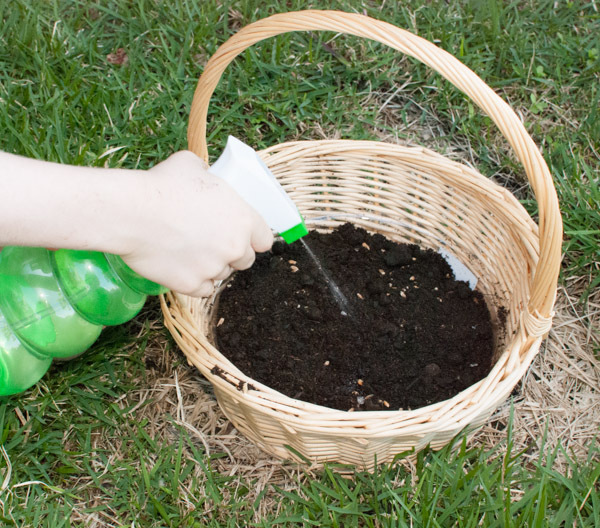 Spray thoroughly to get the soil wet. Put the tray in a sunny spot and keep the soil moist for the next several days. 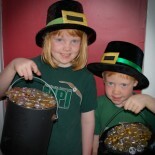 Make sure the plastic pot tray fits inside your Easter basket before beginning. Luca used wheat grass seeds that we found at Whole Foods. It took one week to grow and worked like a charm. We intend to replant the grass in the garden and juice it. We also tried fast growing Bermuda grass seed from Home Depot, which didn’t grow well so we don’t recommend it. *Caveat – we live in Honolulu so we may have better results than our mainland friends! This entry was posted on March 8, 2013 by mdaucello in Crafts, Crafts, Easter and tagged basket, Crafts, Easter, eggs, grass.